James Joyce's A Portrait of the Artist as a Young Man: A Casebook offers a comprehensive introduction to a landmark in modern fiction. The essays collected here will help first-time readers, teachers, and advanced scholars gain new insight into Joyce's semi-autobiographical story of an Irish boy's slow and difficult discovery of his artistic vocation. 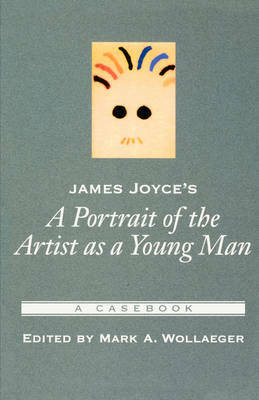 The epitome of the modernist Bildungsroman, or novel of education, Joyce's novel was controversial from the moment of its publication in 1916, and Mark Wollaeger's introduction provides an overview of the composition and early reception of A Portrait of the Artist as a Young Man as well as a survey of some of the recurrent issues debated by literary critics. The selection of the essays is designed to address major critical issues, provide detailed readings of important passages, and trace the evolution of critical responses to the novel. Essays by Hugh Kenner and Patrick Parrinder offer both indispensable overviews of the entire novel-its themes, structure, and idiom-and close attention to specific interpretive cruxes. In addition to classic responses to Portrait, such as Wayne Booth's critique of authorial "distance," Fritz Senn's unpacking of the epigraph, and Michael Levenson's reading of the diary, the collection includes a newly revised and expanded version of Maud Ellmann's groundbreaking 1982 poststructuralist essay, "Polytropic Man," and essays by Helene Cixous, Joseph Valente, Vicki Mahaffey, Emer Nolan, Marian Eide, Marjorie Howes, and Mark Wollaeger. Some essays are oriented toward literary history, genre, biography or formalism; others draw on recent developments in queer theory and postcolonial studies; others on the turn towards history exemplified in Irish studies. All are very readable and pay close attention to intricacies of Joyce's text. Together the essays bring into focus the wide range of questions that have kept A Portrait of the Artist as a Young Man fresh for the new millenium.